Wayfarer, it takes courage to cross a bridge. To step into the Unknown. To risk transition’s threshold where past is always prologue and the future’s never clear. You see the path before you only partially across. So your willingness is vital for staying the course toward a luminous Otherworld that beckons, yet cannot be perceived until you’ve ventured further—letting go the familiar, entering the heart of Love. Mystical poetess and storyteller Cheryl Lafferty Eckl is a wise and generous guide. 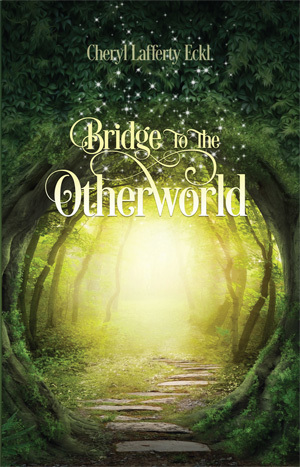 And she bids you join her on the bridge—to embrace your own heart’s perfect crossing and voyage to true Home.